Happy Father's Day, everyone! How fitting that today's film not only concerns fatherhood, but is directed by a man who is something of a father figure to the movie world, as well: Steven Spielberg. The man has the blessing and the burden of being a national treasure. Spielberg is not just one of the all time great American filmmakers, but he is credited with inventing the contemporary blockbuster. To this day, adjusted for inflation, Jaws is still one of the highest-grossing, if not the highest grossing summer film of all time. 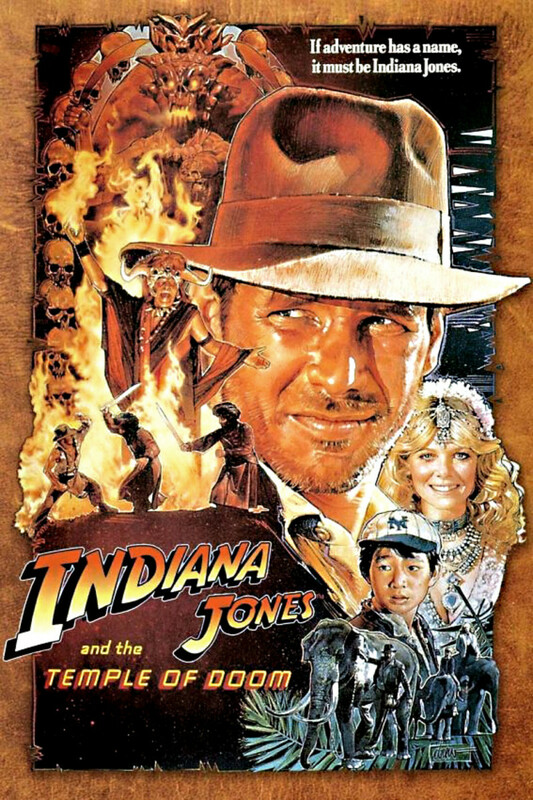 It has consistently remained in the top 10 highest grossing films of all time list, along with Spielberg's equally beloved E.T. But numbers alone aren't everything: the Indiana Jones trilogy (I try to pretend the fourth movie never happened), Jurassic Park, and Schindler's List are merely a few of Spielberg's films to be embraced as classics. Sure, he's had a few missteps along the way, but Spielberg is such an iconic figure, he is more easily forgiven than his peers (heck, at least his infamous flop Hook had nice music and production values). Spielberg's wide-eyed approach to filmmaking and gift for storytelling has paved the way for other great visionaries such as the Coen Brothers and the Wachowskis. Tiresome Trivia of the Day: Some directors are merely influenced by Spielberg, and then there are those who try to flat-out imitate him, most notably Roland Emmerich. No kidding, watch his films, the Spielberg tropes are all there: the daddy issues, the numerous scenes of people staring at the sky, the cast of thousands. My husband told me that Emmerich is known in his native Germany as "Spielbergle", which is literally "little Spielberg", and reductively "the poor man's Spielberg." What I love most about Spielberg's work (indeed, what most people love about his work) is his lack of pretense and deftly mature way he balances technical work and storytelling. There's definitely a childlike angle to his films, but they're never infantile or crass, and even when he delves into heady scenes involving politics or military strategy, Spielberg maintains joy and wonder in his plots. 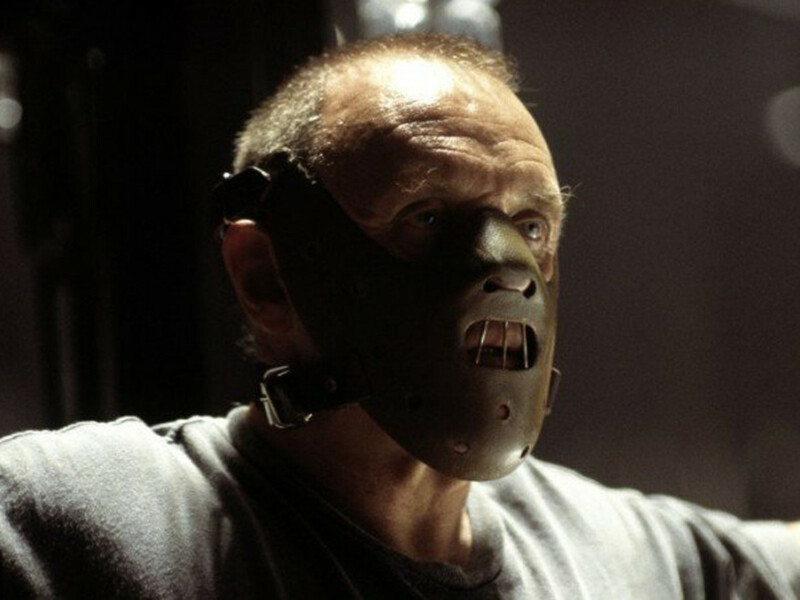 This is a man who knows how to make what I call "grand entertainment": movies that are wonderful escapism, but intelligently made and never, ever belittling to our intelligence. I'm tired of how "entertaining" and "escapist" have become synonymous with "stupid". Why can't more directors follow Spielberg's lead and not rely so heavily on fart jokes, flat dialogue, and cardboard cut-out characters? 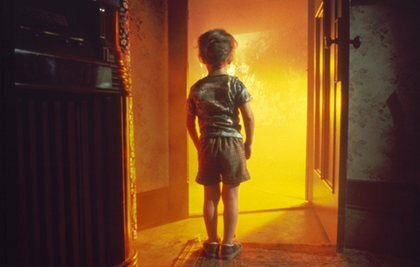 Today's BLM is 1977's Close Encounters of the Third Kind, one of the most stunning sci-fi films ever made. 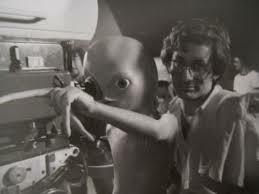 It is one of Spielberg's greatest achievements, due to its captivating story, brisk pace, and challenging characters. 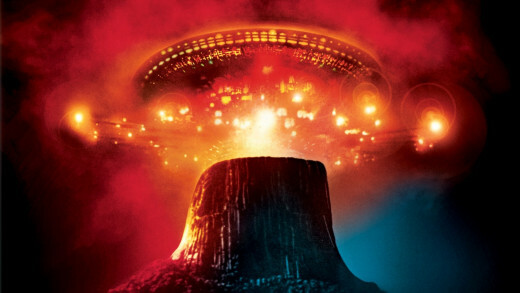 Honestly, Close Encounters deserves credit for stolidly holding its own at the box office and cinema history in spite of being released the same year as Star Wars. You'd think a mammoth blockbuster like Star Wars would cast an impossibly big shadow, but, ultimately, both films got their time in the limelight, as they are two similar but different breeds of cat. Star Wars is a popcorn flick that begs to be referenced and parodied 'til the end of time. Close Encounters is wondrous yet complex parable that doesn't involve androids or wookiees, but ordinary people who are searching for answers that lie beyond their own comprehension of the universe. 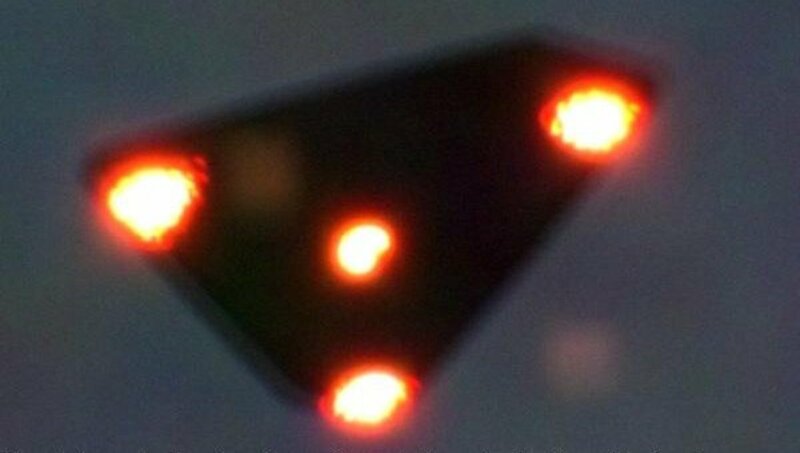 Close Encounters is about the government's, both French and American's, investigation of strange sightings and reports of alien abduction. In the Gobi desert, they find the legendary lost ship, the SS Cotopaxi, which was thought to be lost near the Bermuda Triangle. There is a benign cult that have claimed to have spotted UFO's that communicated to them through five musical notes. Things are getting even weirder in the states, as three average Midwesterners are about to have their lives changed forever: following a scene that was the precursor to Poltergeist, in which 3-year-old Barry Guiler (played by eerily cute tyke Cary Guffey)'s toys become possessed and develop minds of their own. He is then attracted to odd bright lights in the sky, so he follows them, his hapless mother Jillian (Melinda Dillon) in pursuit. At the same time, lineman Roy Neary (Richard Dreyfuss) has spotted the same lights, and he, Jillian, and Barry are zapped by them. Jillian is affected with a sunburn-like mark on her skin, and her house is once again possessed by unknown forces… who quickly make themselves known when they abduct Barry. Tiresome Observation of the Day: It took me a while to realize that Melinda Dillon was also the mom in A Christmas Story. I failed to recognize her without that god-awful perm. 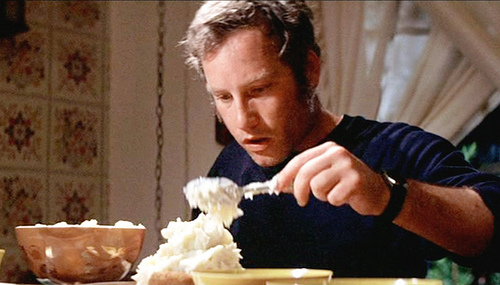 There are many reasons Close Encounters of the Third Kind is a classic, too many, but I'll list my own reasons. 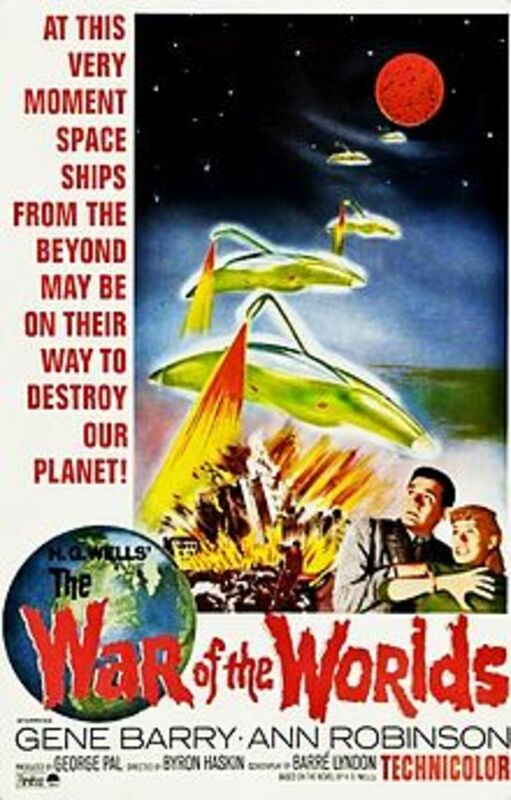 First, the fact that this breathtakingly beautiful film's spaceships and aliens were not CGI. It is incredible that Spielberg and company had the budget and the imagination to create something that was real and tangible. When the mothership arrives, it is one of the most- I am not using this word lightly-awesome sight I've seen in a film from any era. It is lovingly crafted and designed, and there is no cheap CGI to be found. Some of the characters weep at the sight, and I could have been one of them. No expense was spared, no corner was cut, and it's all the more infuriating that this could never be replicated today. Then there are the aliens (no spoiler, you knew you'd see the aliens sooner or later) are excellent creations. Designed by Carlo Rambaldi (who also designed E.T. 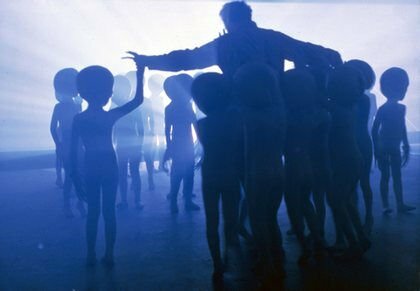 ), the leader is a tall, gangly, striking creature, surrounded by littler aliens (kids in costumes). In high definition, you can tell they're costumes, but this hurts the effect not a whit. After all, if we can overlook the thumbprints on King Kong, we can forgive a little wrinkle on an alien's arm. I also appreciate the ambiguities in the characters and their motivations. At first, with the government cover-up, this seems to be a set-up for validation for every conspiracy theorist out there. Bear in mind that Watergate was just a few short years prior, so Americans were rightly leery of their government in 1977. But it turns out the situation is nowhere near that black and white. The aliens abduct people, sometimes for decades, then return them to Earth. Why? Even if there was an answer, could we begin to understand? The aliens also send mental messages to people that practically lead them to madness. Are the humans the chosen ones, or are the aliens just messing with them for giggles? Does it matter? 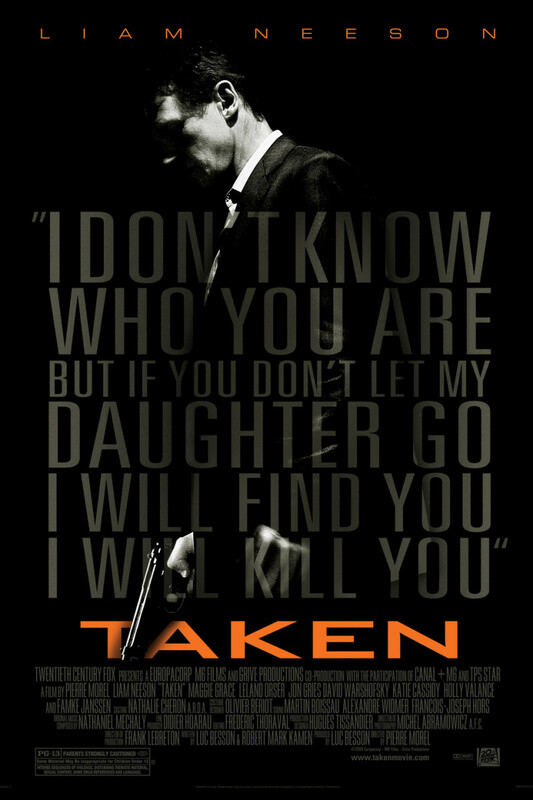 This just might be one of the most thought-provoking blockbusters ever. 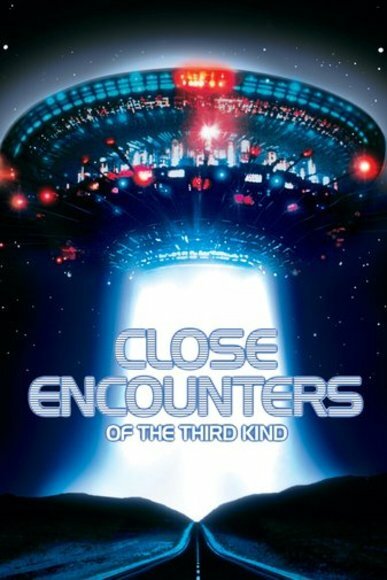 What interested me most in seeing Close Encounters of the Third Kind was when one of my favorite online critics, Lindsay "The Nostalgia Chick" Ellis, mentioned it in her review of Spielberg's War of the Worlds. She brought up how Roy abandons his family to hunt down the spaceship and eventually goes with the aliens. Yes, he does, but bear in mind that Roy is not in his right mind when he does this. Remember, he's been mind-zapped by the aliens and is driven by an obsession he can't control. I will admit, though, his family situation is kind of aggravating. 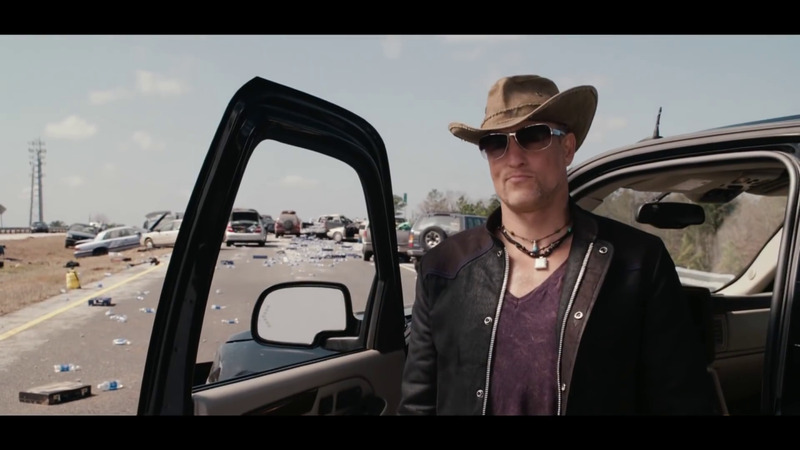 His kids are whiny, obnoxious brats, and I for one wish Garr and Dillon had switched roles, for Garr is too vibrant and talented to be wasted in the thankless part of Roy's wife (I found Dillon, one of the most important characters in the movie, to be rather blah). Ronnie is painted as an unsupportive, unimaginative nag, as if to create the arguments "she drove him away!" or "if you were married to her, you'd leave, too!". The movie is unarguably on Roy's side, but, honestly, I don't care if Ronnie is a bit of a drip: how would you react if your husband started obsessing over a shape, tearing up your house, and refused to answer the reasonable question of what the hell he's doing? Ronnie may not be a peach, but she's only human. Maybe the family was made as irritating as possible so we can let Roy off the hook more easily, but it still bothers me because ditching your family is still ditching your family. Again, Roy is driven by forces beyond his control, but I can't help but wonder: what if Ronnie, not Roy, had left the family to pursue the aliens? I'll be honest, I doubt critics would have been nearly as lenient and understanding. A "mother's responsibility" and all that crap. But what's done is done, and it was Spielberg's vision, not ours. Tiresome Trivia for the Day: In a 2007 interview, Spielberg admitted that, if he were to make Close Encounters today, he would not have Roy leave his family. Don't miss out on this groundbreaking masterpiece. And hope you all have a wonderful Father's Day. Hug your dad today, and be grateful he didn't choose aliens over you.